This is a book used in the Before Five in a Row program. 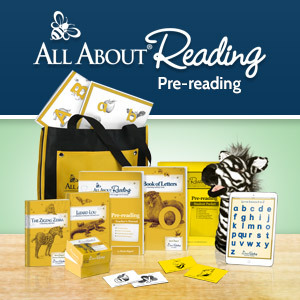 I have lots of go-along and extension activities pinned on my Caps for Sale Pinterest board. Subtitled A Tale of a Peddler, Some Monkeys and Their Monkey Business, this absurd and very simple story has become a classic, selling hundreds of thousands of copies since its first publication in 1940. A peddler walks around selling caps from a tall, tottering pile on his head. Unable to sell a single cap one morning, he walks out into the countryside, sits down under a tree, checks that all the caps are in place, and falls asleep. When he wakes up, the caps are gone–and the tree is full of cap-wearing monkeys. 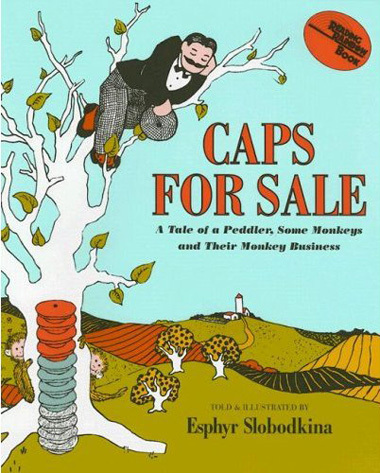 His attempts to get the caps back generate the kind of repetitive rhythm that 3- and 4-year-olds will adore. (Preschool and older) –Richard Farr –This text refers to the Hardcover edition. p ???????? ?????????? ?? ?n ?y?? ?? o ???????? ?????? ???????????`???` ? ?